Another wet start to the week gave way to a pleasant middle of the week, with sunshine on Wednesday and milder temperatures for Thursday. Unfortunately, the rain (and more!) is back as the active pattern continues into the weekend. The end of your week starts off dry, with the remnants of a few showers heading out of the area this morning. Much of the day will be dry, albeit cloudy. Slightly breezy high near 45º. It’s the evening and nighttime hours that we have to watch out for. A low pressure system is going to slide just to our south and where this goes determines what our weather will be. If that low starts to move further south, that will increase our wintry threat. As of now, I’m not overly bullish on any wintry impacts, outside of a few slick patches on the road. 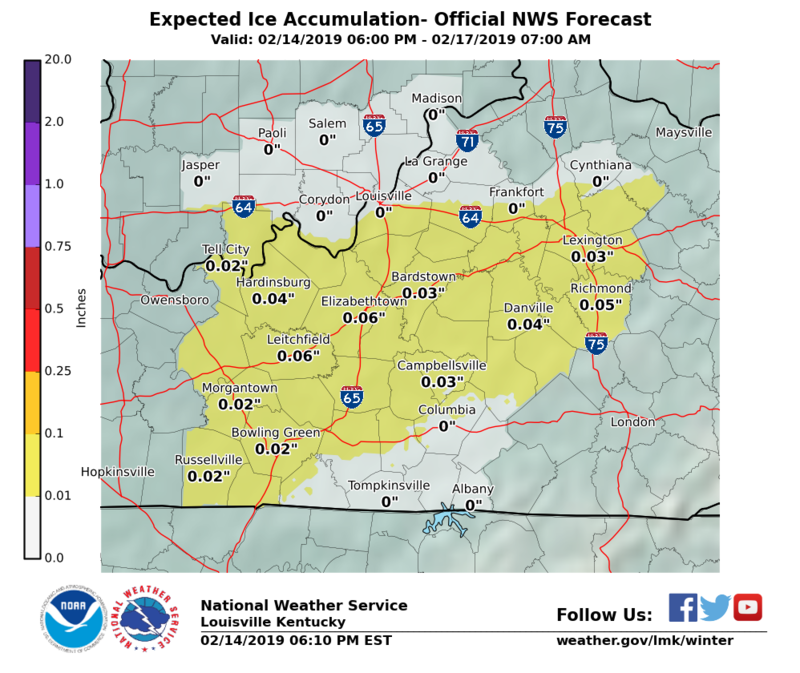 The NWS agrees, with their forecast of nothing more than glaze of ice. We’ll keep a watch on it, especially if temperatures begin to dip below our low near about 32º. Still, road temperatures have been quite warm, so I’m not expecting major impacts for most of us. 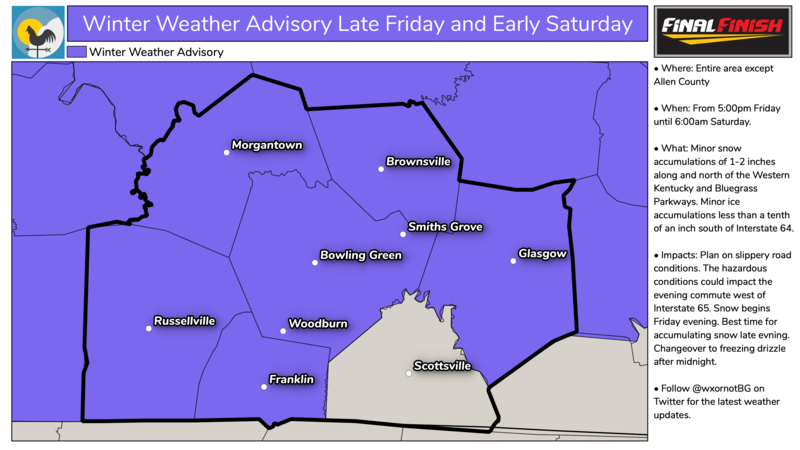 That said, a Winter Weather Advisory is in effect this evening through early tomorrow. After our wintry mess moves out, we should see at least a little bit of sunshine try to break out of the overcast on Saturday afternoon. Overall, not a bad day, but a tad chilly, with a high near 40º or so. 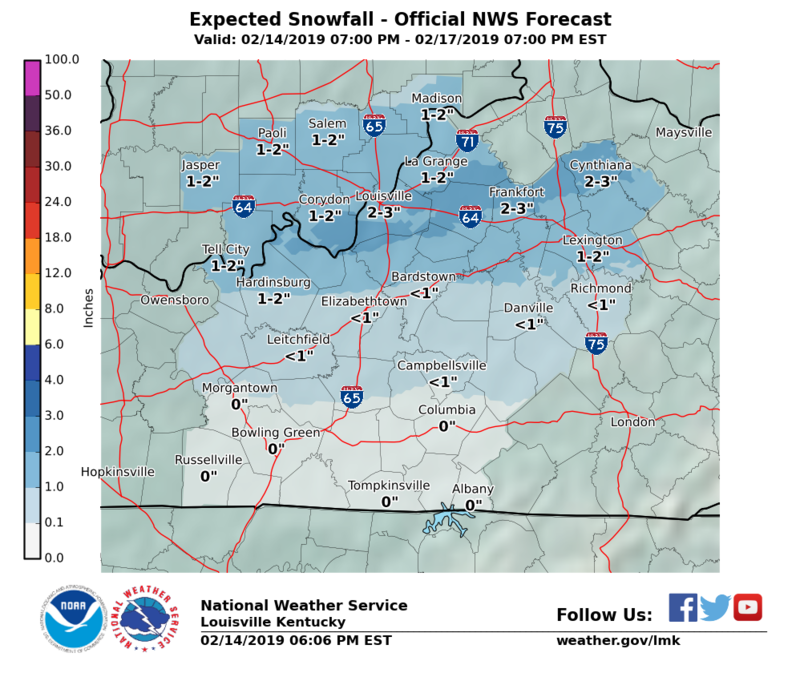 Clouds increase overnight, however, as our next system comes a-callin’. Showers may even break out by daybreak as we bottom out right around 35º overnight. Unfortunately, the rain is back. 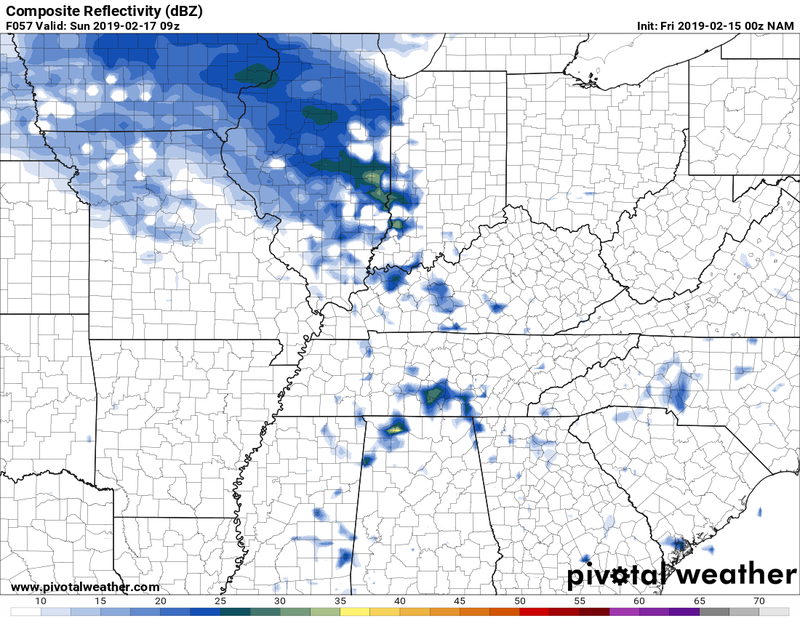 Another weak system will pay us a visit to round out the weekend and that could throw some showers our way. Sunday afternoon highs top out near 50º. Overnight, the rain may end as a few flurries as we fall back into the mid 30s for a low. Unsettled remains the name of the game to start the new week, with off-and-on chances for wet weather kicking in after a seasonably dry Monday. At least a small rain chance continues through the balance of next week, while temperatures remain mild for this time of year, between 50-55º. Tuesday and Wednesday look particularly soggy. 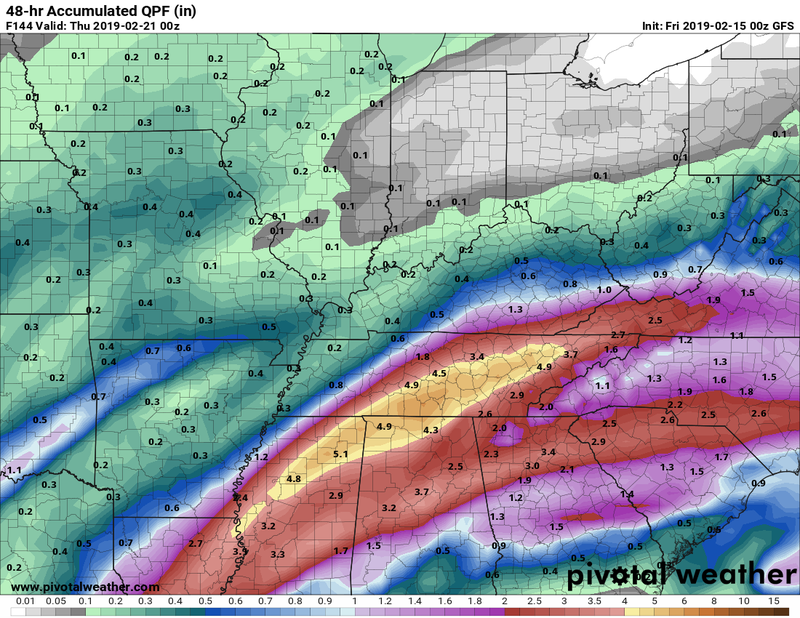 At this point the models put the heaviest of the rain south of Nashville, but we’ll be watching it closely into next week.